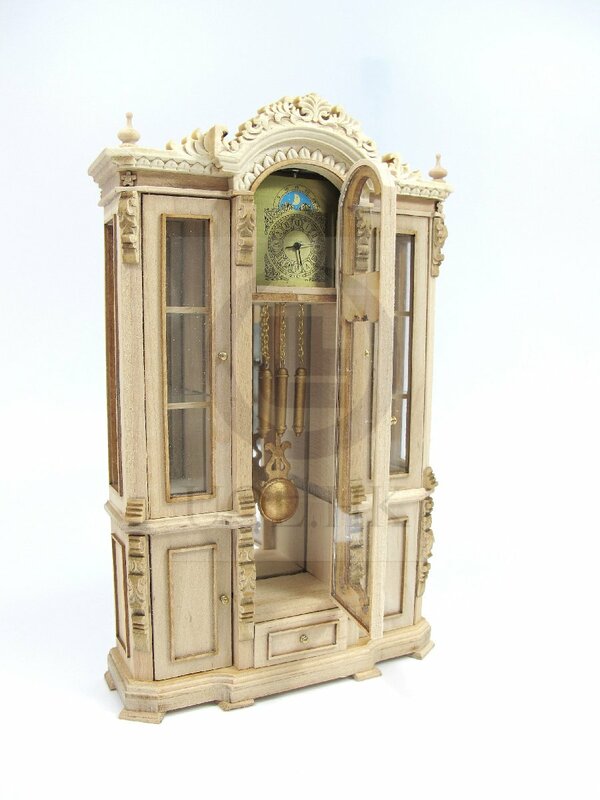 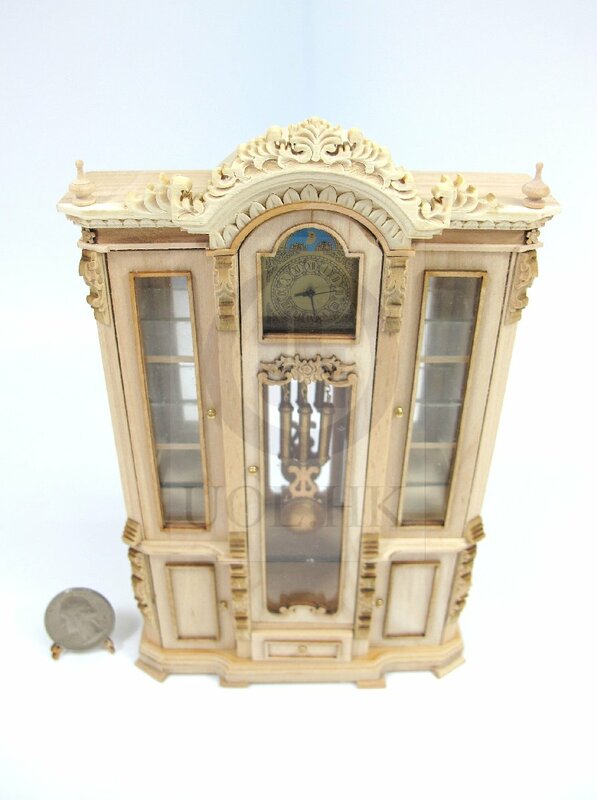 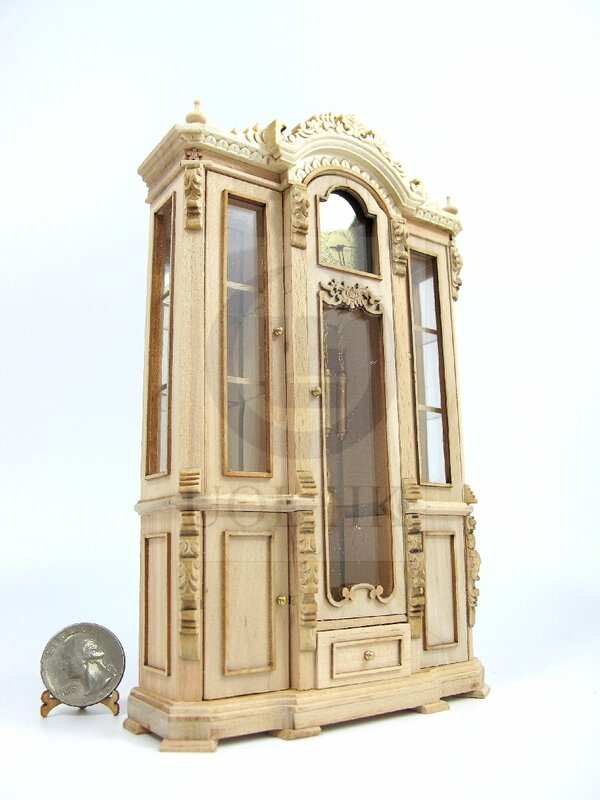 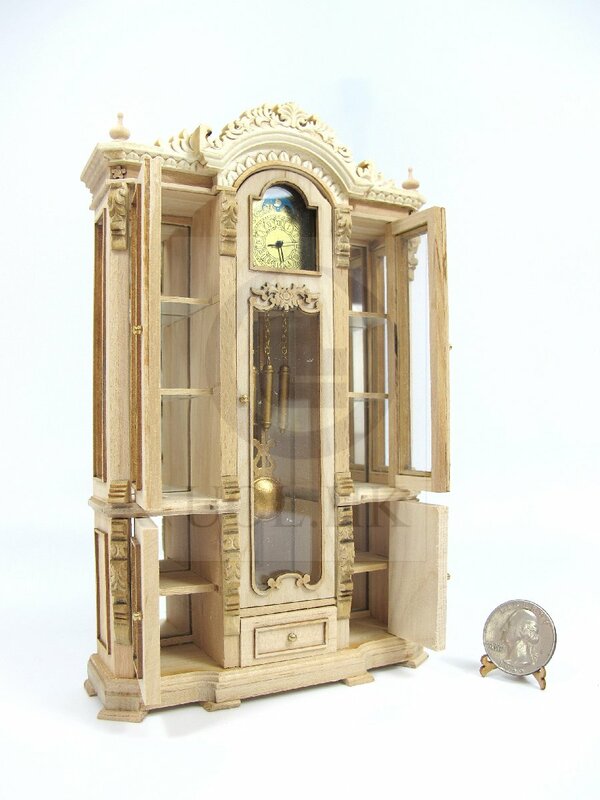 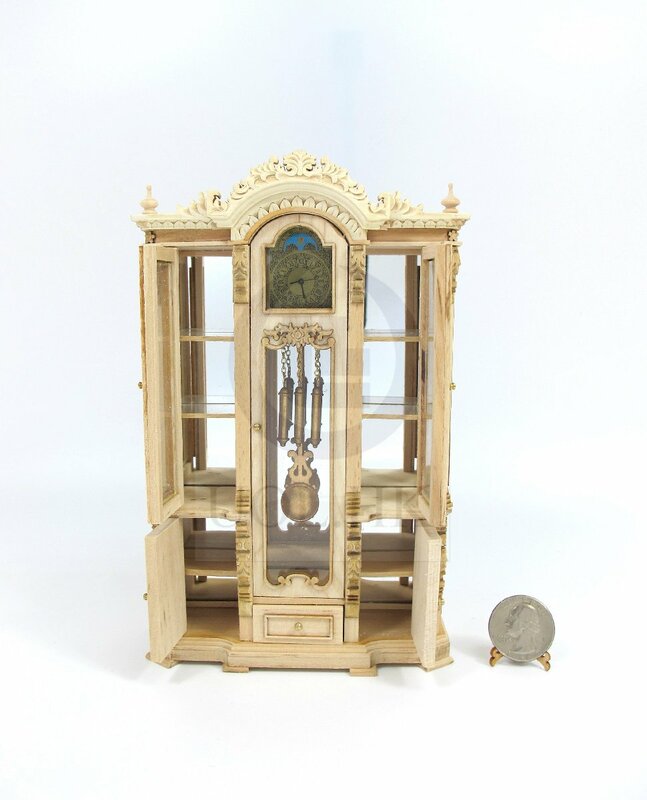 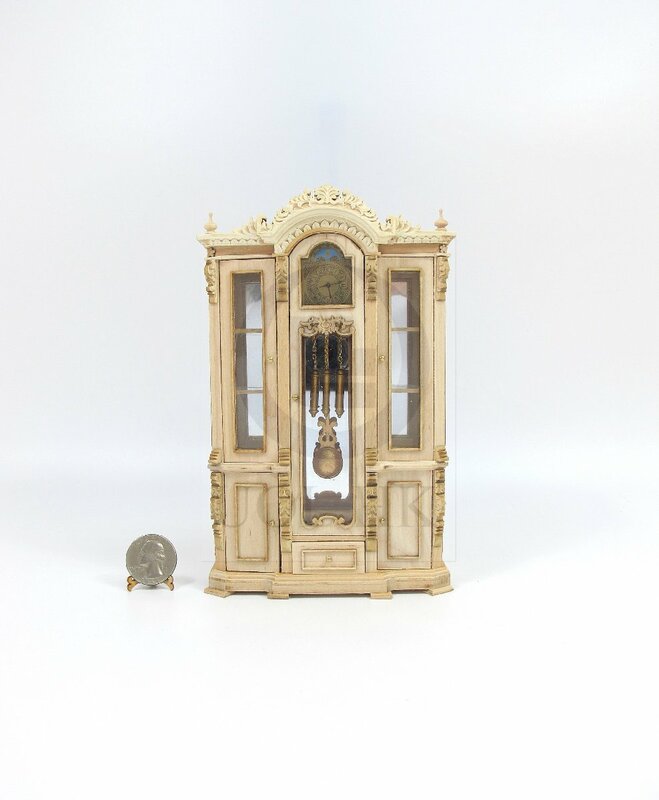 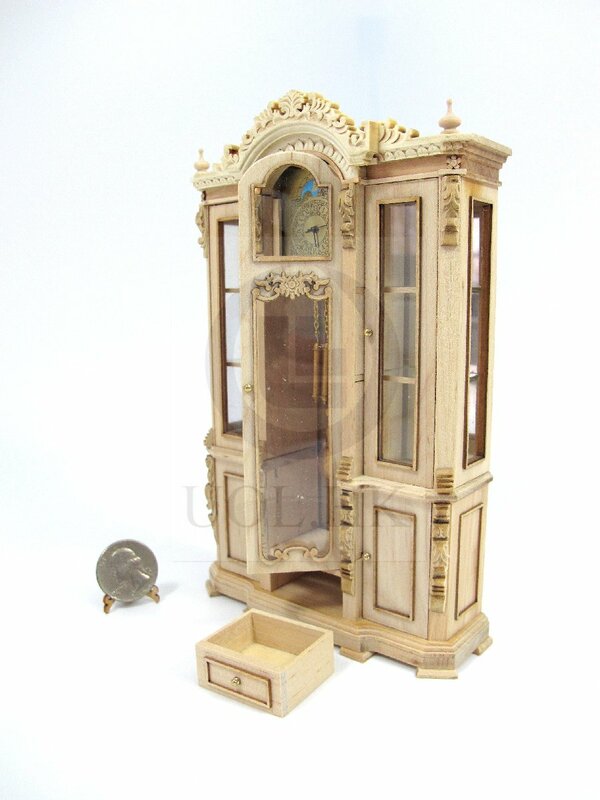 This miniature high clock cainet it made of wood assembled but unpainted,, Beautiful carved on the top of cabinet. 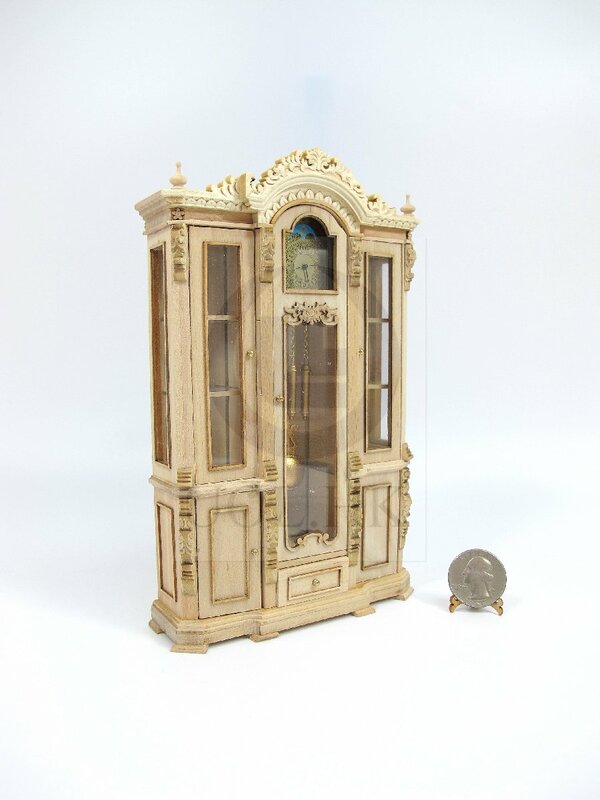 The clock is working with display cabinet. 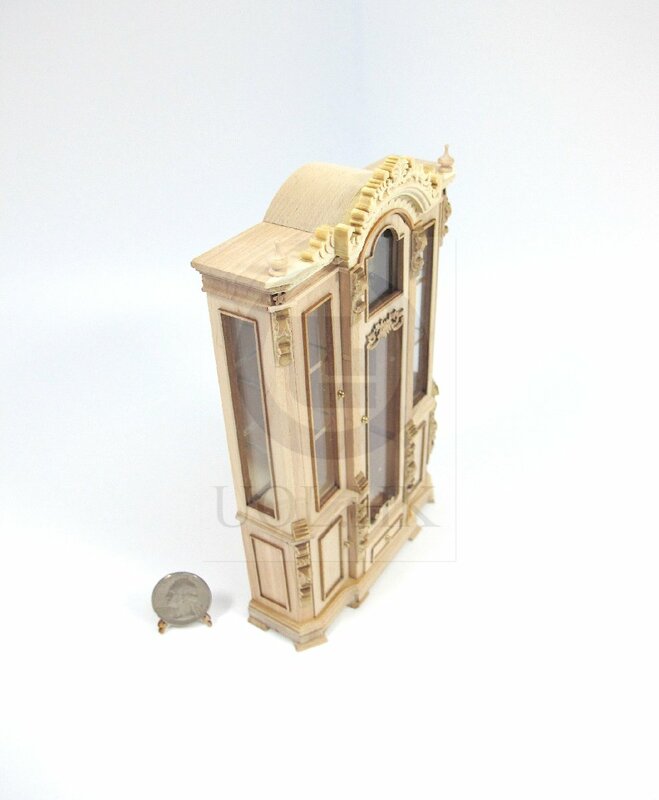 mirror back panel as well, open both display glass doors, 2 stratum glass shelves, two wooden door and one drawer on the bottom.